Learn how to develop powerful websites quickly—with code that’s clean and easy to maintain—using Django. This course focuses on how to keep your projects secure; how to build out quick, but powerful, APIs; and how to make your project easier to work with. Instructor Jeremy Spencer goes over advanced uses of class-based views, explains how to build a REST API with the Django REST framework, and discusses how to leverage GraphQL. Plus, learn how to minimize the amount of change between environments, how Django handles testing, and how to protect against common web threats using the security features in Django. 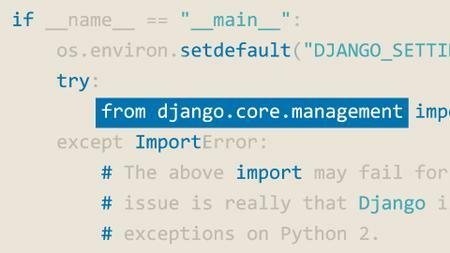 Feel free to post your Advanced Web Development with Django-P2P torrent, subtitles, samples, free download, quality, NFO, rapidshare, depositfiles, uploaded.net, rapidgator, filefactory, netload, crack, serial, keygen, requirements or whatever-related comments here. Don't be rude (permban), use only English, don't go offtopic and read FAQ before asking a question. Owners of this website aren't responsible for content of comments.